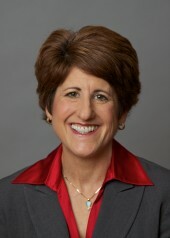 Jackie Dingfelder, from Portland, Oregon, served as Policy Director for the Mayor of Portland, Oregon. She is a PhD candidate at Portland State University in Public Policy at the Hatfield School of Government. Assessing the role of iwi/hapū in water governance, including the challenges and resource needs for effectively engaging at the regional level. I describe the key institutions and actors shaping and constraining New Zealand’s freshwater reform discussions, and review the status of Crown/iwi discussions on rights and interests in freshwater. My research contains three regional-level case studies (Waikato, Gisborne, and Wellington), based on semi-structured interviews, to assess how indigenous perspectives are being incorporated into the freshwater governance and management processes. I also present a United States – based example of collaborative indigenous co-management as a point of comparison. Key findings and recommendations to strengthen a bi-cultural approach to integrated water management include: central government demonstrating clear leadership and support of regional efforts; expanding local capacity and national-level infrastructure; fostering greater understanding and dialogue about different worldviews; and promoting support tools for collaborative processes.